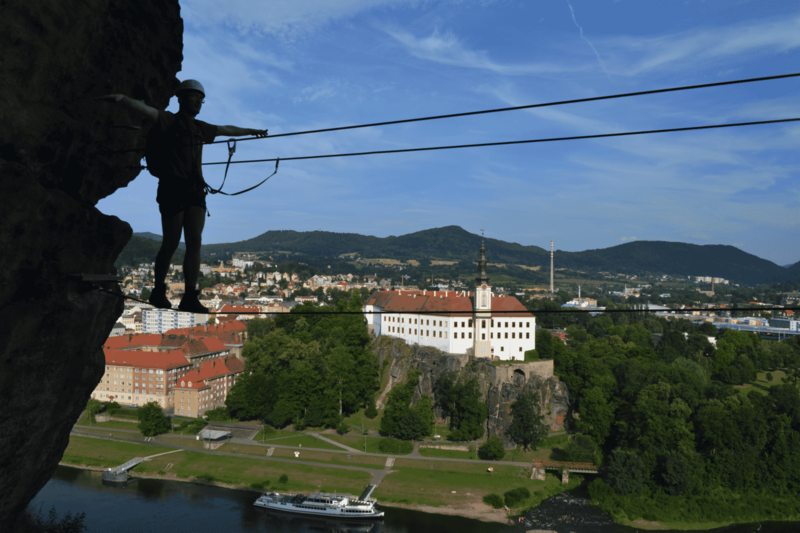 Try something new and exciting with this via ferrata course in the mountains of the Czech Republic with IFMGA-certified guide Josef. 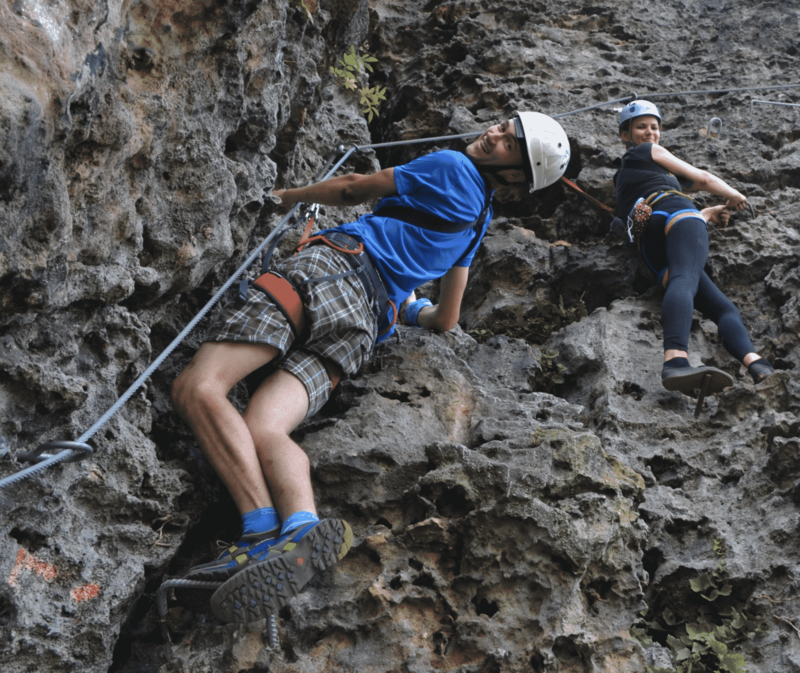 If you’ve always wanted to try this activity, join me on this one-day via ferrata course and let me show you how it’s done! 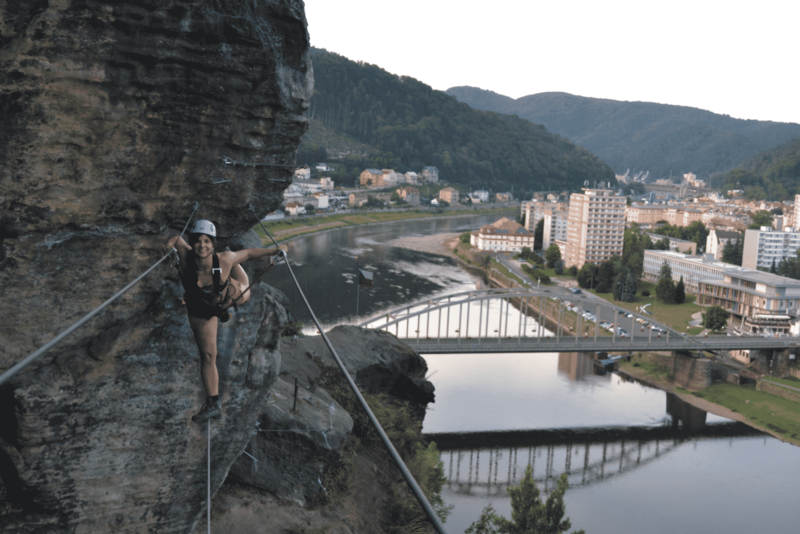 We’ll meet at my rental shop in Prague and from there we’ll drive to some of the best via ferrata spots in the Czech Republic. 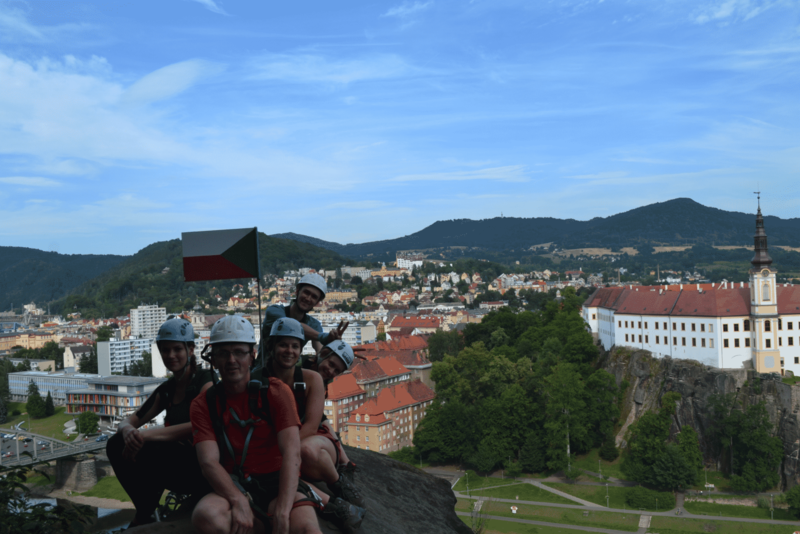 We can choose between the Lusatian Mountains, Shepherd’s Wall (Decin) or Water Gate (Semily). 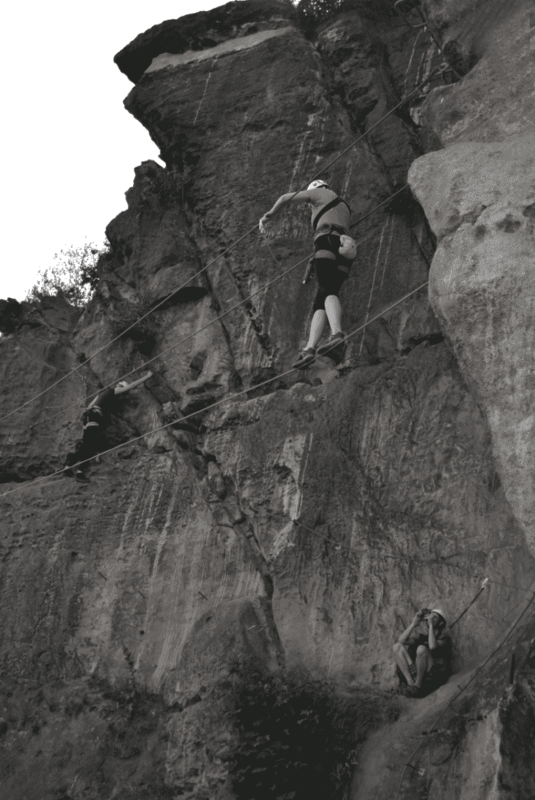 You need to have a reasonable fitness level to take this via ferrata course. However, even children can participate as no special skills are necessary. It’s a really fun activity to share as a family! Moreover, if you come along with your children, I’ll even give you a discount. 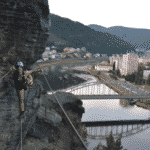 The first via ferrata routes, equipped with ladders and cable, were built during the First War World. The goal was to move troops across the mountains in the safest possible way. 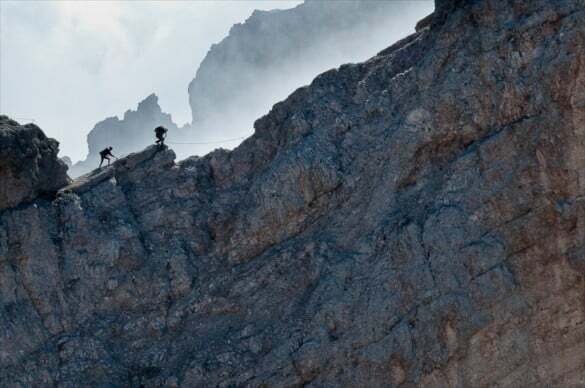 Since then, locals all across Europe built more modern routes and the activity became very popular among mountain lovers! 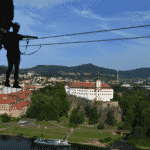 Apart from this via ferrata course, I offer different mountains programs in the Czech Republic. 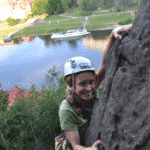 If you are visiting the area during the winter, check out my ice climbing course in the Elbe Valley. 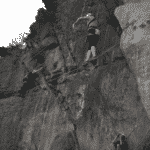 So join me on this fun day of via ferrata. Bring your family along and share a great day in the mountains! Contact me with any questions you may have and I’ll be happy to help. - If a parent and a child take the course together, the price for both is €115. - Accident and liability insurance is included. I'm a UIAGM certified guide, skitouring-freeride and heliski guide. 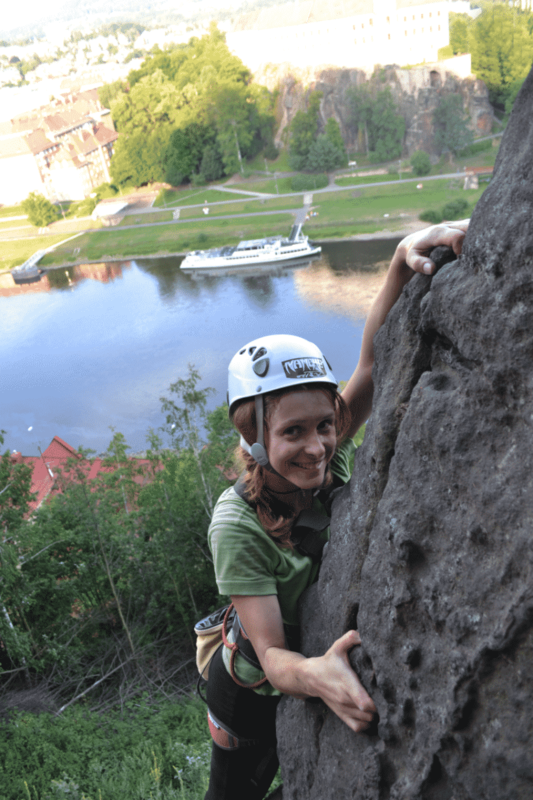 I'm a lifelong skier, climber and mountaineer, born in Prachovske skaly, a famous sandstone climbing area in the Czech Republic. I've personally participated in 13 expeditions to 8thousander peaks and stood 5 times on an 8000m peak. I have guided guests on all continents (7 summits, etc..) in numerous treks, climbing or skitouring expeditions. 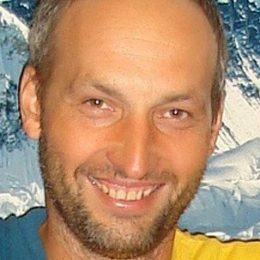 I run a guiding company in Prague and work for Patagonia, SKI TRAB and ABS avalanche backpacks. I spend my winter guiding in the Northern hemisphere, including heliski in Lappland (SWE), ski touring in Morocco or enjoying the best powder snow on earth in Japan. 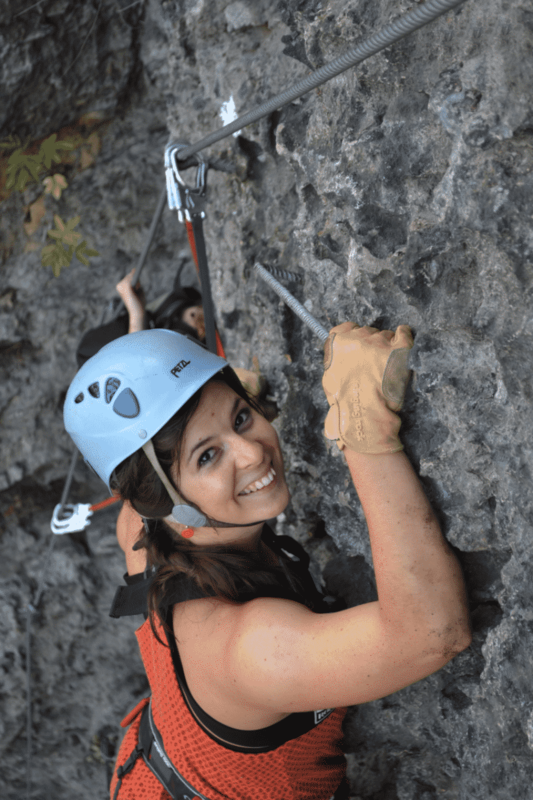 The rest of the time I'm on expeditions in Nepal or South America and I spend most of the summer climbing in my hometown or guiding in the Alps. I like Czech beer and food, passionate guests and jokes. If I'm not available my team will guide you instead. guides too !! Very competent and they knew their subject! I found the trip checking on the internet and discovered explore-share.com. I was looking for a freeride ski trip in Japan, that only ! We had heard so much about this famous snow … We choose to hire Sherpa guides for 2 reasons : It was the best price for 9 days of ride, and the stay included very little hiking. Knowing that we were looking for freeride and not ski touring, the choice was quickly made. In addition, all equipment was provided (skiing, safety equipment). It was the first time we made such a trip, and frankly speaking, to be repeated! Great snow. The only downside is that we missed some more steep ski runs. But we are not disappointed as we went there for the snow and it was excellent. The fact of having the guide is useful when you do not know the area, the resort. If I had to go back, I would go without a guide because there is no use for me. Once you know a little bit the area, it is impossible to get lost .. We simply followed the ‘freeride doors’ that everyone takes. I would recommend this trip as it was a very good experience, well organized stay, competent guide, and top destination! No regrets!! to book the next trip. recommend Japan trip to any skiing fan. Thank you guys for gr8 adventure. Thanks guys for running a great trip.. 2017, see u there! an unique experience in Japan. after a terrible skiing accident ten years ago. Vojta took personal care of me. He improved my technique immensely, gave me confidence and most importantly enabled me to love and enjoy skiing once again. Thanks Vojta!